Dr Stenger graduated from the University of Virginia with a degree in Chemistry in 1984 and from the Virginia Commonwealth University School of Dentistry in 1988. After completing dental school, Dr Stenger returned to Charlottesville to complete a two-year general practice residency at the University of Virginia Hospitals. In residency, Dr Stenger had the opportunity to work with many special needs patients including medically compromised individuals who had very complex situations that didn’t necessarily conform to the usual and customary. While he has always had great respect and compassion for individual needs, his experience in residency served to further this approach to providing health care; namely, each person is unique and deserves to be treated as such. “We believe that taking time to know and understand each patient is the key to providing individualized care. Every doctor has chosen to make spending time with each patient a priority. This can be during any routine office visit or from time to time when a dental procedure is necessary. We also understand that there are times when fear or anxiety can interfere with a patient’s dental experience. Our practice has taken the training and necessary regulatory steps to make sedation an option for these patients,” says Dr. Stenger. 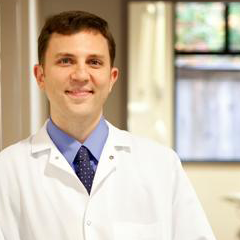 In recognition of how Dr. Stenger treats every patient as an individual and his exceptional cosmetic dental skills, he was honored with Richmond Magazine’s “Best Bedside Manner” award for Cosmetic Dentistry in 2013. He also was recognized as a “Top Dentist” in Richmond Magazine in 2009. Dr Stenger enjoys teaching and has taught at the VCU School of Dentistry for over two decades. In 2005, he was recognized with the VCU “Excellence in Dental Education Award” for his commitment to dental education. Dr Stenger believes the best way to make your community better is to become fully engaged. He has served on the Cross Over Ministry Board of Directors, The Virginia Board for People with Disabilities and the Chesterfield County Special Education Advisory Committee. He served as President of the Richmond Surge AAU Basketball program and has coached both girls and boys in the middle school and high school age groups. Dr. Stenger has served in many leadership roles in the Richmond Dental Society including various committee chairs, the Board of Directors and President. He also has served the Virginia Dental Association in the House of Delegates and as committee chair for the Special Needs Committee and the Virginia Dental Health Foundation. He has volunteered in the VDA Missions of Mercy in Wise County, the Eastern Shore, Grundy and Danville. Dr Stenger and his wife Krista have three children Nick, Abby and Jon. Past President Richmond Dental Society, Virginia Dental Health Foundation Trustee, Member Virginia Dental Association, Virginia Dental Association's Mission of Mercy, Past President Cross Over Ministry Board of Directors, Past Chair Virginia Board for People with Disabilities. Committed to education and service, Dr. Stenger received the "Excellence in Dental Education Award" in 2005, and has served as an Adjunct Professor at the Virginia Commonwealth School of Dentistry for several years. Dr. Stenger is also an Attending Dentist at Chippenham Hospital and Johnston Willis Hosptial. Recognized in "Top Dentist" categories in Richmond Magazine, 2000, 2009, Virginia Living, 2011. 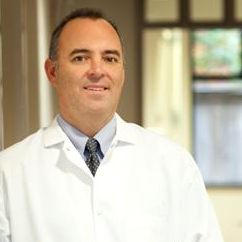 Named one of Richmond Magazine’s Top Dentists for 2014 and 2015, Dr. Cole graduated from the University of Richmond in 1997 and earned his dental degree from the Medical College of Virginia. He completed his general practice residency at Lehigh Valley Hospital in Allentown, Pennsylvania. He is a member of the American Dental Association, Virginia Dental Association, and a past-president of the Richmond Dental Society. In addition to providing comprehensive dental care in the office through procedures such as restorations, implants, crowns, root canals and dentures, Dr. Cole also treats patients with special needs and physical disabilities at the practice and at CJW Medical Center – Johnston Willis Hospital. He was recently honored and recognized as, “Best in Dentistry” in hospital dental care in Richmond Magazine for 2014 and 2015. Dr. Cole also enjoys volunteering medical services through the Virginia Dental Association’s Missions of Mercy project, which provides free dental care for individuals in under-served communities with little or no access to quality dental care. Virginia Dental Association recognized the dental practice in 2014 for their contribution and support of Donated Dental Services (DDS), a program that provides comprehensive dental care to eligible seniors and adults with disabilities. Member of the Virginia Dental Association; Past President Richmond Dental Society; Board of Directors, Richmond Dental Society; House of Delegates for Virginia Dental Association; Volunteer, Virginia Dental Association's Mission of Mercy; Spin Doctors Cycling Club. Smiling faces are what inspire Dr. Gupta to continue pursuing the latest developments in dentistry, constantly bringing you the advances that make dentistry more comfortable, more affordable and more beautiful. 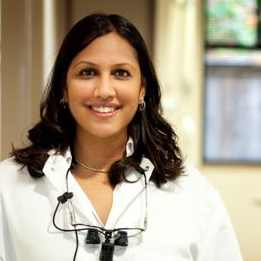 Dr. Gupta received her Bachelor of Science from the University of Virginia in 2002. Upon graduation, she moved to Richmond to earn her dental degree from the Medical College of Virginia, where she also completed an advanced general dentistry residency. Dr. Gupta is an active member within the community, belonging to the Richmond Dental Society, Virginia Dental Association, American Association of Women Dentists and American Dental Association. Volunteering her time and expertise in dentistry, she finds joy in helping others of all ages through local dental organizations and service-projects, such as “Give Kids a Smile”. She is here to help you with your comprehensive dental needs, ranging from simple fillings to dental implants to advanced cosmetic work, such as Invisalign orthodontics. In her spare time, Dr. Gupta enjoys running, yoga and treasures time with her husband and two children. Member of Virginia Dental Association; Richmond Dental Society; Volunteer with Virginia Dental Association's Mission of Mercy; Member of Virginia Women Dentists; Volunteer with Virginia Special Olympics and the American Dental Association “Give Kids a Smile”.